Life Science Academy Program Objectives. 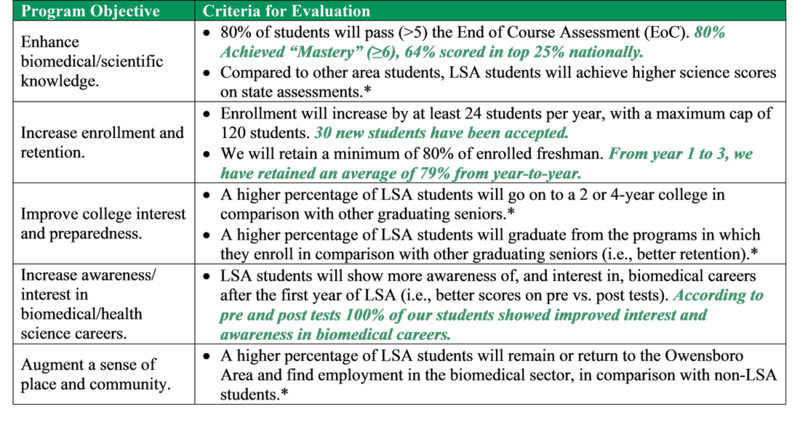 Specific methods and criteria for evaluation are included. Current status updates, at the start of year 3, are included in green italics following each criterion. Long-term criteria, which cannot currently be measured, are marked with an (*).